Honeybee Elite Edition brings Penguin's acclaimed Honeybee brand into our Elite family. We've combined the beauty and practicality of a borderless deck with the incredible feel of our Elite Edition lineup of decks. 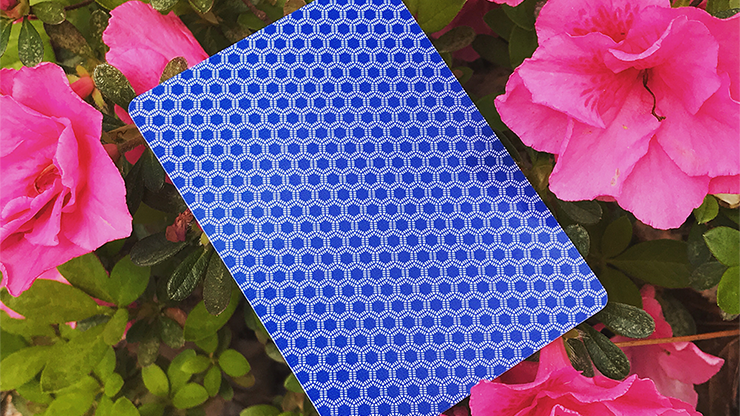 This gorgeous new edition returns Honeybees to their borderless roots with an edge-to-edge honeycomb pattern. 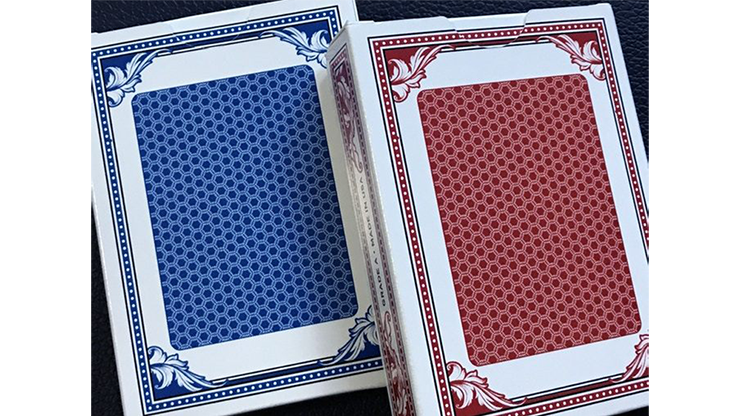 Available in red and blue, these are the best decks ever for a night of poker or for magicians and card mechanics who prefer a borderless design. Our acclaimed Bicycle Elite Edition has received over a hundred 5-star reviews, with many comments about the stock being GREAT for gambling moves such as bottom dealing and second dealing. 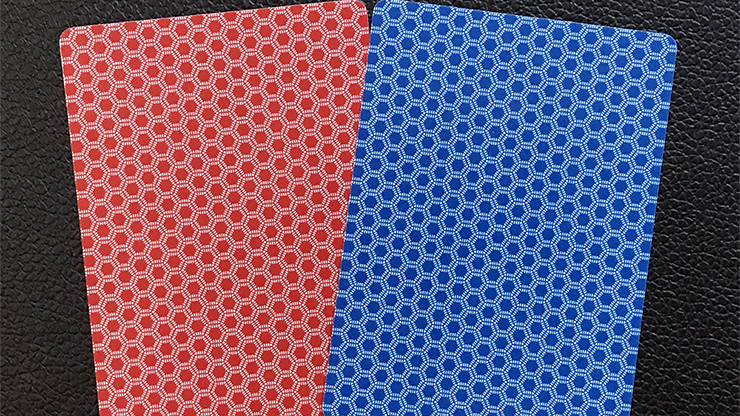 We recognized that many of these card-shark moves are even more deceptive with a borderless design, so we got to work on the Honeybee Elite Edition. 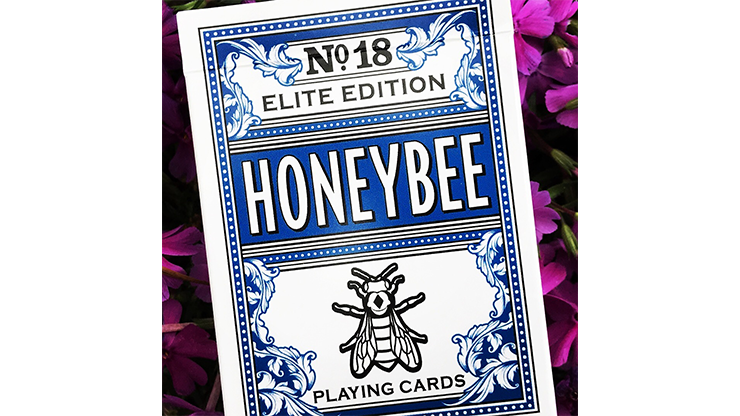 Like the rest of the Elite family, Honeybee Elite is printed on our exclusive thin-crush Elite stock, and is also traditionally cut - perfect for gambling demos, table faro shuffles, and more. 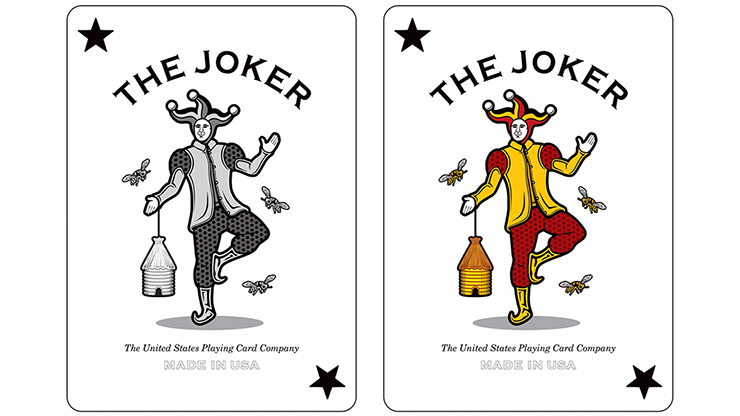 In addition to the custom back design and tuck box, each Honeybee Elite Edition deck includes customized Court cards, Jokers, and an elegant Ace of Spades. "I've been using the cards for a week now and they still feel like they are brand new. These cards faro shuffle as well as the Turner cards. They are very soft to the touch, a good back design that hides any false deal, so it's a great deck for the bottom, second, or center dealer." 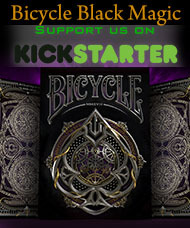 "Terrific for gambling sleights and cardistry - the back design has the feel of a classic back."